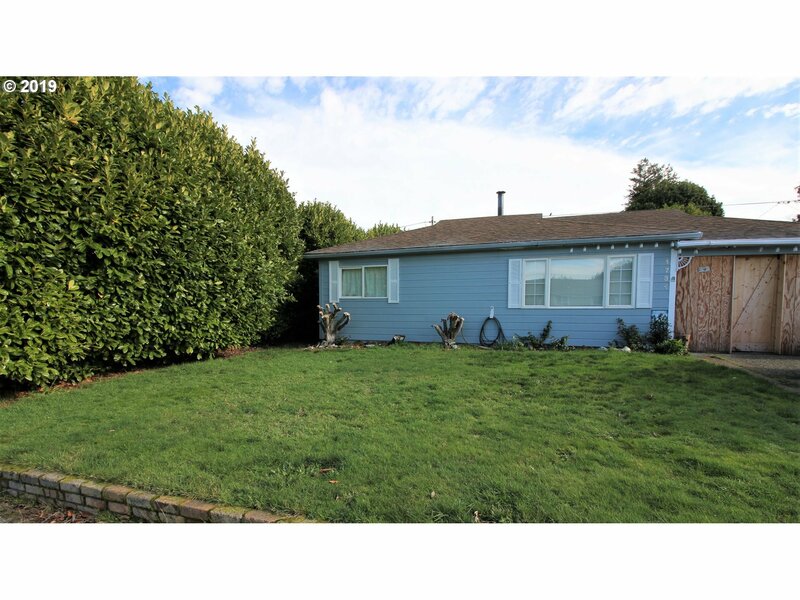 Cozy 2 bedroom, 1 bath home in a great North Bend neighborhood on a large lot! Laminate flooring in the living room and kitchen, carpet in the bedrooms, electric and wood heating. Large partially fenced back yard with a covered BBQ enclosure and a shed for storage.Close to Ocean, Beaches, crabbing and fishing!